Celebrate the bride-to-be with a bridal shower luncheon or Afternoon Tea in one of The Willard’s exquisitely appointed spaces. Celebrate the happy couple’s upcoming nuptials with a Bridal Shower luncheon at the historic Willard InterContinental. 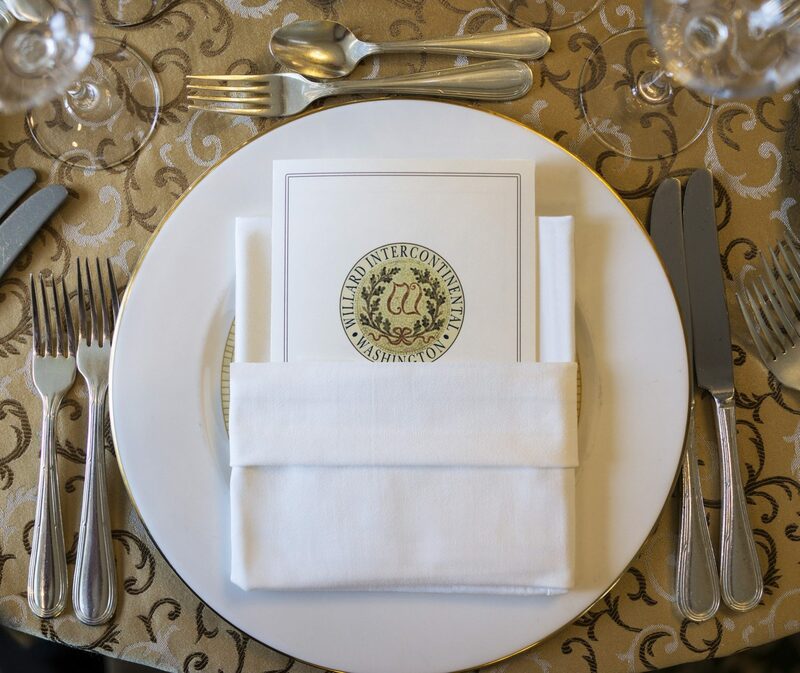 Whether plated or buffet, The Willard will work with you to create a sumptuous menu for your special event. Shower the bride-to-be with Afternoon Tea, a cherished tradition at The Willard since the 1880s and an elegant way to celebrate a special occasion. Enjoy a tantalizing array of teas, finger sandwiches and fresh decadent pastries. The Willard InterContinental is able to accommodate groups of ten or less at the hotel’s Afternoon Tea service seated amongst the grandeur of Peacock Alley, Thursdays – Sundays from 1-4pm. Reservations in advance are required. For reservations, please call 202-628-9100. For groups of 13 or more, or those looking to host a private Afternoon Tea in one of The Willard’s intimate spaces, please call 202-637-7325.